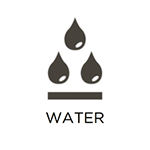 Leaks, floods, overflows, burst pipes, and more can all result in water damage on your property. When they occur, it is important to address them swiftly so that the moisture does not spread to other areas and cause additional damage. At RestorationMaster, we provide complete water damage restoration services to remove excess water and moisture from your property, fix the cause of the problem, and restore affected areas and items. We offer these services to residential and commercial property owners in Strongsville, OH. When fires begin, they set off a terrible chain of events that can affect property owners for a significant period of time. The fire itself can quickly spread to cause catastrophic damage, while the resulting smoke and soot can affect surfaces and belongings for days following the event. 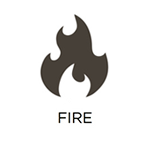 At RestorationMaster, we address all of this and more through our 24-hour fire damage restoration services. We proudly help property owners in Strongsville, OH, every step of the way, from pre-cleaning to full reconstruction services. Residents of Strongsville, OH, are exposed to a number of weather conditions throughout the year, from wind and hail to heavy snow and rain. 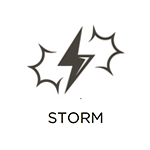 When these elements result in damage to your property, we will address it through our storm damage restoration services. Our RestorationMaster technicians are trained and certified to stabilize your building, restore affected assets, and repair your property. We are available 24/7 to answer your call. 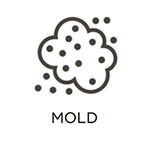 Mold can quickly become a significant problem for property owners in Strongsville, OH. All it needs in order to grow is an organic food source and excess moisture. When it begins to grow on your property, it can rapidly spread and result in substantial damage. At RestorationMaster, we offer complete mold removal services to address these issues. We utilize advanced equipment and methodologies to eliminate mold and restore affected areas and belongings. Violent crimes and serious accidents can create scenes that are both grisly and dangerous. While it’s unlikely either of these events will occur on your property, they are not impossible by any means. If one does, we encourage you to take advantage of our trauma and crime scene cleaning services. Our RestorationMaster technicians will answer your call rapidly to secure your property and begin the recovery process. We remove hazardous elements and sanitize affected areas, while coordinating our efforts with law enforcement and EMTs. We offer these services to property owners in Strongsville, OH. Sewage, chemicals, and bodily fluids are all examples of biohazard materials that can cause significant damage to both your property and health when present in an uncontrolled manner. 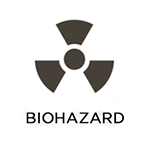 At RestorationMaster, we offer complete biohazard cleaning services to address these situations. Our technicians are licensed and certified to handle these dangerous substances and will dispose of them properly. We will then sanitize and restore affected areas of your property. We offer these services to property owners in Strongsville, OH. Storefronts, churches, warehouses, schools, and other commercial buildings can all sustain significant damage from water, fire, mold, and other elements. If this occurs to your property, we encourage you to take advantage of our commercial restoration services. At RestorationMaster, we have the resources to respond to large-loss scenarios rapidly and effectively. From the development of a restoration plan through final inspections, we will walk you through every step of the recovery process. We offer these services to property owners in Strongsville, OH.